Verse 16 of this text is a central piece of the liturgy of Rosh Hashanah (Jewish New Year). “Happy is the people that knows the joyful sound [of the shofar / ram’s horn]; they walk, O God, in the light of your countenance.” The next few verses read: “In Your name they rejoice all day; and through Your righteousness they are exalted. For You are the glory of their strength; in Your favour our horn is exalted. For our shield is of God; and the Holy One of Israel is our king.” Rashi (11th century scholar) commented that the people are joyful, because they believe that a shofar blown with the right intention at this time can persuade God to be merciful in judgment. This piece is built on familiar motifs from the music of the High Holy Days, and Rosh Hashanah especially. The sounds of the shofar on this day are the tekiah, a long sound (heard in b. 1), also the tekiah gedolah, an especially long blast (heard in b 32), shevarim, three short upward blasts (heard in bb 6-7 and 10-11), and the teruah motif, which is nine rapid blasts (heard in bb 8-9, and 11-13); also in the Rosh Hashanah liturgy is the famous piyut (liturgical poem) Unataneh tokef kedushat hayom “Let us declare the holiness of this day” with a well-known musical motif (echoed in bb 23-27). Verse 16 of the psalm is set as the refrain. Verses 17-19 of the psalm are set as the three verses. Each verse finishes with a rising phrase (bb 30-31), echoing the idea of ‘exalting’ God’s kingship. 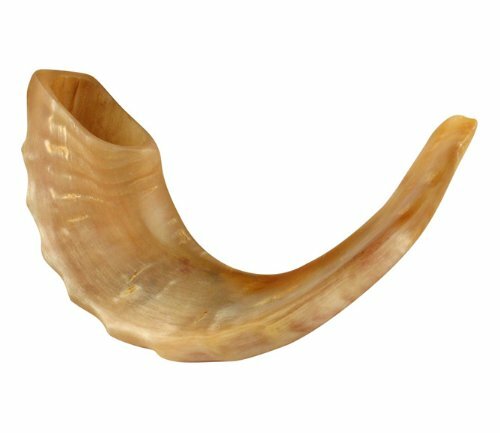 This piece can be sung with great gusto, and people can be encouraged to sing the refrain just as a nigun (wordless melody), to bring out the shofar sounds. The full sheet music version includes two extra voice parts mimicking overlapping shofar echoes. Is this setting for the text too flippant for the Days of Awe? There is a story by the Baal Shem Tov, that we can be joyful even in the solemnity of High Holy Days (and the birthday of the world! ), knowing that we are doing our own spiritual ‘house cleaning’ for the King in His own court. Moreover, ashrei means happy, but its root is ashar meaning ‘straight’ – this is about deep happiness, coming from deep, straight-spined centredness through deep connection to God. The movement straight ‘upwards’ to God is echoed in the rising fifth motif C-G, then G-D; my choice of key is significant, because it means that this second upwards interval, G-D, matches how Jewish writers often spell the word ‘God’. This piece was first used at the first T’fillah (Prayer) Leaders Retreat of EAJL (European Academy for Jewish Liturgy) at a d’var torah (‘word’ of Torah) that we had on Friday night, based on Numbers 10 from the parsha (portion) called Beha’alotecha, from which we derive the idea of blowing the shofar on the High Holidays. This piece can be sung with great vigour with just a solo part and others joining in on the refrain in unison, copying the trumpeting shofar sounds. At the final Tekiah gedolah, the voices do not need to end simultaneously and can hold quite a long time, BUT … remember that this is not an appropriate place for frivolity, competition, or showing off, but an opportunity to sing a deep and strong sound from the soul.